Long-time readers know I got my start in the Precious Metals blogosphere on the great GATA website – and Bill Holter as well. I started writing free missives for Bill Murphy and Chris Powell circa 2004, and have since dedicated myself to becoming a global expert in the topic of Precious Metals manipulation. As I wrote last week, a major part of my interest was to understand why my net worth was periodically plunging, so as to determine if there were any flaws in my investment strategy (from 2002 through 2008, 100% mining shares – phasing into 100% bullion by 2011). And part, of course, was determining the truth. Being a long-time Wall Street analyst – and a highly ranked one, at that – I’ve been blessed with the education, skill set, and resources to thoroughly dissect the situation; and after doing so, didn’t just think the market was illegally, and unsustainably suppressed, but knew it. Those that read my energy research from 1996-2005 know I constantly harped on the production “treadmill” that all but ensured an oil price explosion. Yet, compared to the long-term outlook for oil prices in 1996 – when it was trading around $20/barrel – the current outlook for gold and silver prices is vastly more bullish, in my view. Aside from a supply/demand imbalance that makes the 1990s oil outlook pale in comparison, gold and silver will benefit from the implosion of a Cartel charged with covertly suppressing prices; as opposed to oil, which had – and still has -the support of a Cartel mandated with overtly supporting prices. Over a 12-year period, I have tirelessly watched every tick of the 24/5 Precious Metals market – or more accurately, 24/5½, including countless Sunday nights and spent every day analyzing the myriad factors affecting it. Consequently, I’ve been able to literally “write the book” on the topic – per the five “PM manipulation primers I wrote in 2011, encompassing a total of 355 pages, accessible here under the subtitles “Ranting Andy Special.” In other words, when it comes to the government-led, TBTF bank-assisted scheme to maintain the dollar’s “reserve currency status” through PM manipulation, you simply cannot find better information than here, at the Miles Franklin Blog. In recent months, the manipulation of all financial markets has become “front and center” news, with the recent LIBOR and foreign exchange scandals bursting the topic into the mainstream, no matter how hard TPTB fight to hide it. And given just how blatant PM manipulation has been since last April’s “Alternative Currencies Destruction” – yielding massive physical demand whilst paper prices have been hammered – even the taboo gold and silver rigs have come into the limelight. When the Fed failed to fulfill Germany’s gold repatriation request, and the banks behind the secretive London gold “fix” were sued for manipulation, the “Pandora’s Box” of PM manipulation was officially opened – to never again be shut. Obviously, the “fix” itself is not the issue when it comes to PM rigging – just as HFT traders aren’t even a fly in the landscape of stock market manipulation. In both cases, the real issue is Western governments’ unfettered money printing and complete disregard of securities law, capitalism, and morality – in buying “desirable” securities in unlimited quantities, and naked shorting “undesirable” ones in equally limitless amounts, with the ultimate aim of enriching “the 1%” that own them and maintaining a status quo that will inevitably destroy all else. This is exactly what the “President’s Working Group on Financial Markets” is charged with in the stock markets, the Federal Reserve in the bond market, and the “Exchange Stabilization Fund” in currencies and gold. Yes, gold – per the ESF’s mandate since its secretive existence came into being in 1934, funded by government confiscated gold. This failure to understand the real manipulation issue is what I spoke of yesterday, as did Bill Holter today. As for paper markets, which are run up and down by daily government intervention, the publication of Michael Lewis’ latest book – “Flash Boys” – has heightened the focus on manipulation in general, even if the bigger picture – as described above – has yet to be properly addressed. Actually, when Jon Stewart is not doing his anti-Fox News ranting, he is one of TV’s most intellectual personalities and in this fantastic interview with Lewis, the topic of just how corrupt the stock market has become – outside the bigger issue of government intervention – becomes crystal clear. Thankfully, the scandal has delayed the IPO of one of the HFT businesses’ worst market manipulators – Virtu; and frankly the fact that “investors” were lining up to buy it in the first place shows just how depraved Wall Street has become. Perhaps they forgot what happened to Knight Securities and BATS, or “Better Alternative Trading Systems” – the latter of which had its own IPO destroyed two years ago by, of all things, rogue algorithms! As for BATS, which thanks to its cancerous HFT network, is responsible for 12% of all NYSE trades, I encourage you to listen to this debate between its CEO, William O’Brien, Michael Lewis and fellow HFT whistleblower Brad Katsuyama – and determine for yourself who has something to hide. Frankly, it’s just a matter of time before the mainstream realizes that not only are markets rigged for Wall Street – and against you – but that it’s done so in such blatant fashion, one must either be in denial, or have a vested interest in its continuation, to say otherwise. In other words, exactly what us PM “conspiracy theorists” have had to deal with for years. For example, from my buy-side days, I learned quickly how important the end of each quarter was; as this is when the suckers – er, investors – were forced to pay performance based management fees. Illegal “tape-painting” activities like marking up prices of illiquid stocks was common practice, but paled in comparison to systemic marking up care of the TPTF banks’ puppet, the Fed. Friday’s “repo” activity injected the equivalent of two months of so-called “tapered” QE money in one day; which not only goosed the “Dow Jones Propaganda Average” to a new high amidst a veritable ocean of bad news, but once and for all validated our contention that “tapering,” per se, is but a mirage for public consumption and propaganda circulation. And oh yeah, paper precious metals were attacked amidst that very same sea of bad news which, of course, could not be more bullish for gold and silver. Seeing a former Assistant Treasury Secretary – Paul Craig Roberts – write about gold manipulation in such detail is quite gratifying, I must say; further validating our long-term assertion of government intervention, even if the article was clearly penned by my long-time CIGA, or Comrade in Gold Arms, “Dave from Denver” of GATA fame. Actually, the fact that Dave – along with Bill Holter, James McShirley, and myself, the “four horseman of GATA,” is writing gold manipulation articles for Roberts is a great victory for our cause – on a par with “Admiral Sprott” personally thanking us for our efforts at GATA’s London conference in August 2011. As for today’s enigmatic article title, it is homage to the great PM blog writer Jeff Nielson, who I first introduced to the Miles Franklin blog in last year’s “Gold-Bashing Mythology.” Yesterday, he wrote an equally brilliant piece titled “Is There any Gold Left for Central Banks to Sell,” addressing the physical side of the market – demonstrating that no matter how hard TPTB huff and puff, they cannot hold it down forever. That is, the further they push paper prices down, and the longer they do it, the more demand they catalyze and production they eliminate. In it, he discusses the conundrum of why official (i.e., overtly reported) central bank buying has recently dried up – except for the Russians, of course, which buy their own miners’ production. The fact that some nations – particularly, China – don’t report gold purchases is another story entirely – and given last year’s plunge in GLD inventories, unprecedented Swiss refining activity, exploding Hong Kong imports and countless comments from Chinese government officials, it doesn’t take a rocket scientist to realize China has been a massive gold buyer. However, regarding other Central banks, whose official buying has slowed amidst the most PM-bullish economic backdrop in generations, Nielson equates the situation to a child’s lemonade stand. That is, “either the lemonade customers have no more funds to purchase lemonade, or the lemonade-makers have no more to sell.” And given that Central banks under fiat currency regimes – especially during periods of widespread “quantitative easing” – have essentially unlimited money to spend, the only logical conclusion as to why Central bank purchases have slowed is there is no more bullion for sale in material size. 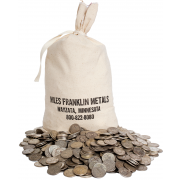 Simply extrapolating our experience at Miles Franklin – one of America’s largest bullion dealers – it’s not too difficult to come to such a conclusion; as for decades, we have generated less than 10% of revenues from customer “buybacks” – nearly always because customers need to pay for something, as opposed to a “change of heart” about bullion. Last year was no different, and this year the same. People simply don’t sell gold and silver once they buy it; and from personal experience, I can confidently say the prevailing PM holders’ mind set is to hold it forever – or at least, until it is properly valued under a new, gold-backed monetary system. Thus, aside from regimes with a vested interest in maintaining the current, world-destroying status quo – particularly, the U.S. government – there is no way any Central bank would think otherwise. Simple math – and the lack of a Fort Knox audit since the 1950s – dictates the U.S. Treasury has far less gold than the 8,133 tonnes it purports and potentially, ALL of it is gone already. And thus, with global physical demand starting 2014 at a pace well above 2013’s record pace – in which comically, paper prices were hit hard – the odds of “something giving” have never been higher. To wit, what we have long discussed about U.S. Mint silver Eagle sales; which have started 2014 at a blistering pace, whilst the Cartel continues to dig in its heels at the very key round number of $20/oz. that has served as a paper battlefield for the past six years. In yet another brilliant article by one of the world’s finest PM analysts, Steve St. Angelo, he discusses how 2014 U.S. Mint demand for silver Eagles is on a pace to shatter 2013’s record level, despite admitted rationing (of 1.1 to 1.4 million oz./week) by U.S. Mint officials; which given our recent experience at Miles Franklin, makes me certain that said Eagles are being bought up by Chinese, Indians, and other foreigners. And by the way, the current annual sales pace of roughly 53 million silver Eagles is nearly twice as much as total U.S. silver production of roughly 33 million ounces; meaning that, while naked shorting paper silver through its agent JP Morgan, the U.S. government must be actively buying physical silver! Moreover, as we have discussed ad nauseum, Cartel price suppression has literally destroyed the global mining industry; thus, making it essentially impossible for silver prices to be held at such ridiculous levels, relative to fundamentals, technical, and the price of gold – for much longer. Per this telling chart, the world’s lowest cost mines required a price of nearly $25/oz. to make them operationally profitable in 2013’s first three quarters; and more importantly, closer to $33 to actually produce positive net income. In other words, at $20/oz. 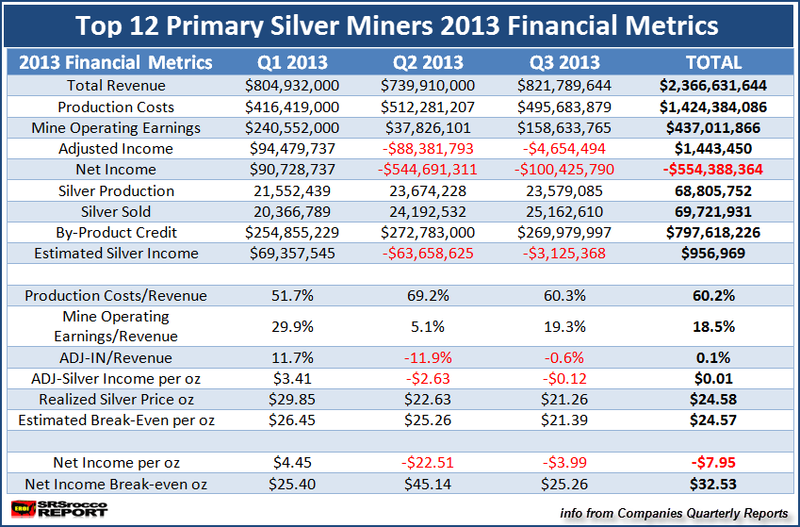 silver, nearly every silver miner will continue to produce operational losses – which subsequently, will cause them to shut in production; and until prices are well above $30/oz., depletion will threaten to destroy any hope of production growth for at least a decade – if not permanently. I just read that major oil companies no longer consider $100/bbl. viable for the expansion of oil reserves – again, in an environment manipulated by a price-supporting Cartel. 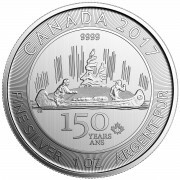 And thus, with silver at just $20/oz. 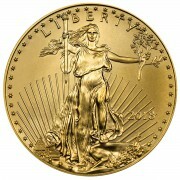 – and gold at $1,300/oz. – I expect that 2014’s planned PM Capex reductions of 50%, across the board, are just “jacks for starters” when it comes to the abysmal long-term PM production outlook. Thanks to the Cartel, and the elimination of essentially all “low hanging fruit” in an increasingly capital intensive business, global gold production peaked a decade ago – with essentially the only material production occurring today being in China, where it is quite obviously being done at way above the current price. With the day’s “news” being all-time high channel stuffing at GM, a lower than expected ADP employment report, another 19-year low in mortgage application activity – amidst reports of the death of “buy to rent” venture capital activity and a “better than expected” factory orders number that was actually much worse than expected when “seasonal adjustments” are excluded, PM prices surged just before the COMEX open. Sure, they were immediately stopped by prototypical “Cartel Herald” capping algorithms at the current Cartel “lines in the sand” at $1,295/oz. 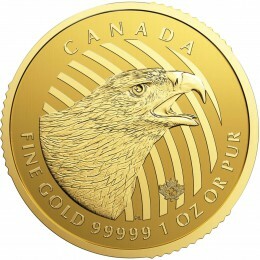 and $20/oz., respectively (in gold’s case, at what do you know, exactly 1.0%). However, with the potential for the ECB to initiate a new QE program tomorrow morning, who knows what might happen to severely oversold PM prices in the coming days? Remember, Friday’s NFP employment report is the government’s ultimate market manipulation tool – which is why the BLS conveniently omits last March’s “birth/death model” figure on its website. With the benchmark 10-year Treasury yield having crept back up to 2.80%, and “Whirlybird Janet” on the record worrying about labor market “slack,” don’t be surprised if what we wrote in “3.0%, Nuff Said” about the government publishing NFP numbers conducive to “QEing” rates back down doesn’t hold true, as it always has. Remember, the paper charade can end at any time; for any number of reasons – known or unknown. And when it does, if you haven’t already protected yourself with PHYSICAL Precious Metals, it will already be too late.